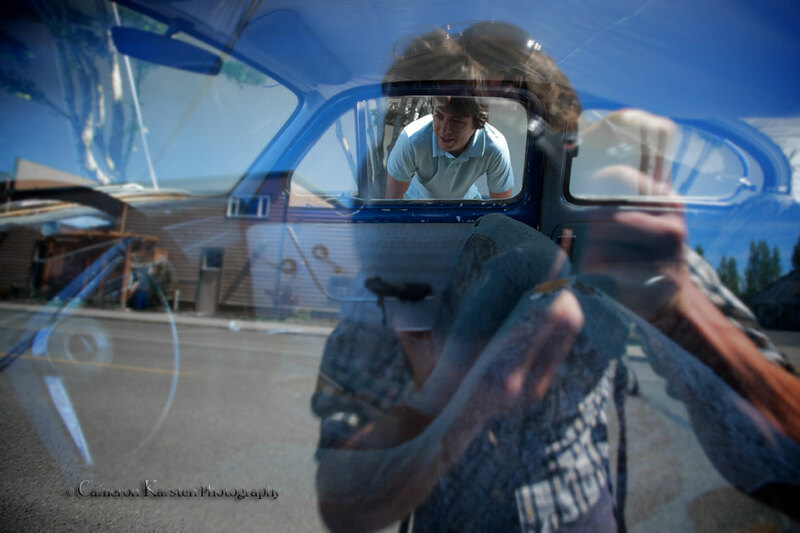 Matt Kuntz peers into a vintage Volvo police car marked in Italian along a Port Townsend back road while on his way to the PT Brewing Co. tasting room for refreshments. Cool Double exposure effect. I like it.